It has been quite a while since we have made our own new ebook (outside of the two books we have done with victory belt publishing). What is great about our ebooks is they are in PDF form so they can be put on any device (computer, kindle, ipad, iphone, etc.). And all the profits go towards supporting our family and blog! That’s right, this is not just a cookbook but also a 14 day meal plan with grocery lists! This ebook is really a great combination of what we do best. Tasty original recipes, amazing photography and meal plans with grocery lists! 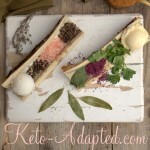 As you know we have been working hard at generating exclusive recipes and content for our subscribers at Keto-Adapted.com. If you aren’t a member, this is an opportunity to not only get access to some of the exclusive recipes (46 exclusive recipes) with full nutritional breakdowns from keto-adapted.com but to get free access to the site! Everyone who buys this ebook gets a coupon code for $9.95 off our new subscription site Keto-Adapted.com. So that is a free month of Silver level access! Or you can use it towards an annual subscription or a Gold or Platinum subscription (and generate meal plans of your own)! Not only does this book have TWO WEEKS of meal plans with grocery lists, the grocery lists are interactive! So you can click the link and use your phone to cross out ingredients as you get them at the store. It makes following the plans really easy. SO CLICK HERE to get your copy! I already read through it and made the Chocolate Minute Mug Cake. It was so YUMMY!!! Eating Keto is so enjoyable!!!! I don’t know if this is the right place to ask a question but I’ve been taking supplements talked about in Keto-Adapted and have started breaking out in hives. Was wondering if this may be from one of them. I’m taking magnesium, l-glutamine, l-carnitine, l-leucine, l-lysine, ALA, milk thistle, probiotics and potassium. Any info would help. I would cut milk thistle. Is this the same as the hard copy Keto Cookbook that you released recently? Thanks!! Is this for maintenance or weight loss? I write all about it in my book Keto Adapted. Keto takes Paleo to the next level. Paleo still allows sweet potatoes, carrots, honey, maple syrup and other things that raise blood sugar too much. Maria, can you tell me what calorie count the menu plans are? I am sticking to 1200 or so. Thanks! I bought your new e-book today and quickly browsed through it and it is just as lovely as your other books! I own them all. This e-book inspired me to join Keto-Adapted because I am just not making it trying it on my own. How do I get my coupon code from the purchase of the e-book? I looked at my email that has the .pdf file you sent for the cookbook but did not see a code. Am I missing the coupon code or how do I receive one? Thank you so much for all you do. You are a great inspiration to those of us who still struggle with our health issues and following high fat low carb diets. Very exciting!! I’m going to share this every single time a family member asks me how to get started!! 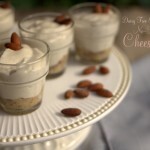 Will these recipes be available in the keto-adapted menu planner? 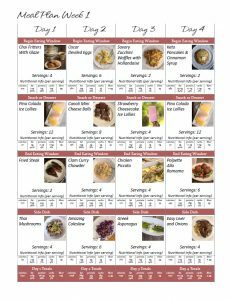 Are the recipes in the keto-adapted.com website? I am a member of keto-adapted.com and didn’t want to purchase this if they are already included in my subscription. Thank you Maria for all that you do for our community! Is this new book only on the internet?? I am old school and like to have hard copies of the recipes. Me too. 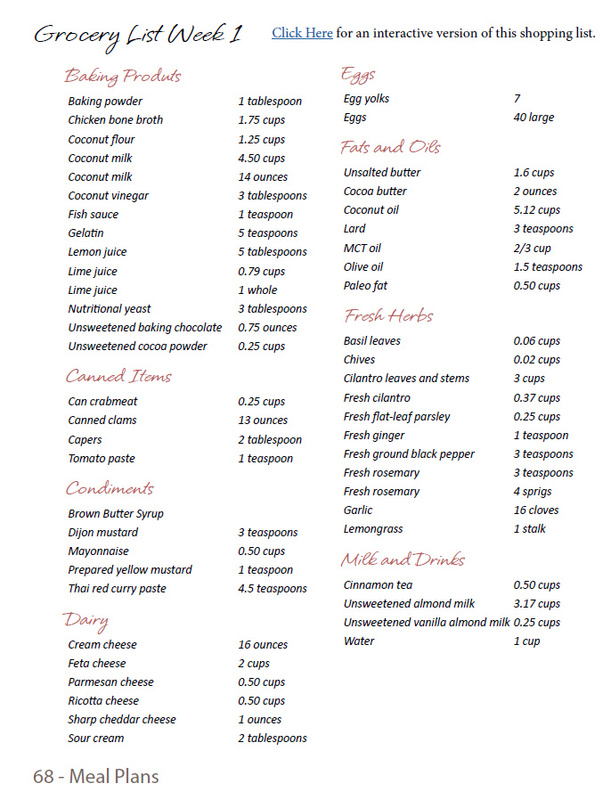 When I get a pdf like this, I usually try the recipes out first then print ones I know I’m going to use the most and put them in a notebook to save on printing. Hello, I am new to this site, as I did I not know too much about Maria. But I am looking for some plan that can help me to loss 30 pounds. I had being on and off in Hcg diet and this point I nit just feel but I know for sure my metabolism is totally broken. I started lchf diet from diet doctor.com but I ganeid 6 pounds instead Of loosing so I decided to go back to Hcg , eating between 500-800 calories a diet and avoiding fats. I know it is not the right way to be healthy or lose weight, but it seems to be the only way I can lose weight. I had tried intermittent fasting. Fasted for 24 hours, but nothing worked for me. At this point I am more than frustrated. I don’t know if you can offer me any hope. I am open to listen and tried keto way of eating, because I love that life style, but of course I don’t want to gain more weight. Thank in advance for any advice you can give me. Hey Maria! 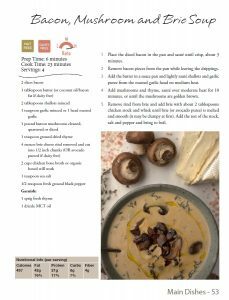 I have and love your quick and easy keto cookbook! I’m still kind of new to the keto lifestyle (7 weeks) and had a question. I was wanting to do your 7 day weight loss plan. I’ve already tried a lot of the recipes but know some of them on the plan are not doable for me right now (grilled lamb chops and Arctic char…) how would I substitute for these? Do I pick similar meals as far as their level of ketosis in the book or do I try to match up the grams in either the fat or protein or carb category? I would still like it to be effective and lose some stubborn pounds. Thanks for all the info! Hi! you can pick other meals from the plan or any other recipe of mine with similar macros (fat protien and carbs). Hello! I’m a Chef from Mexico and just started keto 2 weeks ago… But even that i’m a chef i am having trouble figuring out meals… I am a carb addict so must of my dishes used to include lots of carbs… I am so happy that i have found your book! It will help me a lot! No. But in the Ketogenic Cookbook I have vegetarian meal plans. Hi Maria! My reproductive endocrinologist Dr. Kiltz, who is THE fertility doctor in central/upstate New York, put me on a ketogenic diet and steered me over to your books. I bought a few from amazon and have been eating keto for about 2 weeks. I’ve lost about 4 pounds (out of 50!) 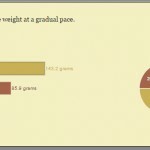 but would like to accelerate my weight loss. I am trying to decide whether I should buy this book, the Keto advanced nutrition plan, or wether I should do the platinum membership instead. I was leaning towards the platinum membership but I’m not sure if it contains any intermittent fasting information. What would you recommend? BTW I love the Quick and Easy Ketogenic Cooking book! Would not have made it through the last two weeks without it! I just bought the book, and was wondering how I can get the coupon for the discount on membership. I don’t think I received the email with the code. Hi there! Is this a good 1st book for someone who is not clear on how to get keto to work for me? I am a newbie and struggling with all the keto info on the internet. I feel I am Macros confuse me and I would like to know if it is possible to do vegetarian? I am a busy mom of a toddler and an active 11 year old with about 30lbs to lose to be comfortable and low iron. Help! Is this safe for a type 1 diabetic with an insulin pump? Yes! I work with Type 1 all the time. Learning how to bolus is key! Meal plans with grocery list would be helpful. Thanks for the information. hi, I’m interested in the Keto diet but do not need to lose weight (I could stand to game 10 lbs) and when I eat too much fat my face breaks out (I’m 66). I have a mitochondrial viral or bacterial infection and think the keto diet could help, but have these concerns. What is your opinion on this, if this is the right place to ask…Thanks so much! Hi Maria – I am new to the Ketogenic diet and am excited to get started. I have Candida and suffer from frequent outbreaks of oral thrush – very painful. I have only five to six pounds I would like to lose, which will bring me to 126 lbs (I am 5’8″ and 62 years old) so my real goal is to rid myself of the Candida once and for all, weight loss for me will just be a bonus. At our local grocery store, I found a liquid Coconut Oil — one that stays liquid – and I am wondering if that is okay to use instead of the Crisco-type 🙂 coconut oil. When looking for the latter, I wasn’t sure if it needed to be the expelled (I hope that is the right word) type or not. I researched coconut oil several years ago, and remember something about purchasing the kind that had been expelled and not processed using heat. Anyway, this one claims that it has no flavor or scent. I put a tbl of it in my hot green tea this morning and have to agree with their statement. I should mention that while researching supplements to help eliminate Candida, I found information about taking a tbl of coconut oil several times a day — mixed with a warm drink. So I figured I would try that before trying another supplement. Sorry – long way around to asking what you think about the liquid HCL Coconut Oil and consuming it as above. Is the healing and weigh loss plan in this book? Is this different from the hardback book that you’ve recently released?